Spring arrives this Wednesday, March 20th! 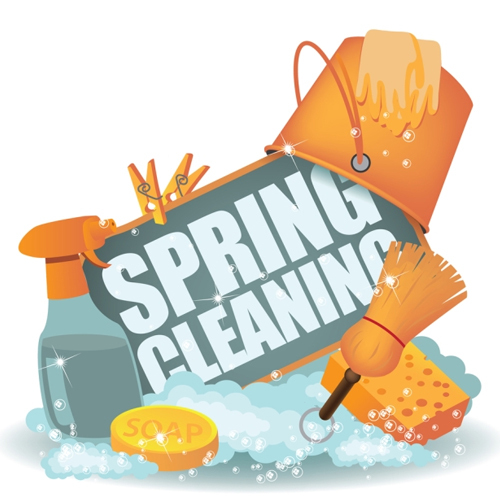 For families that just can’t wait to get started on their spring cleaning, this weekend will be their first opportunity to attack those pesky dust bunnies and clutter! Before you do so though, you’re going to want to check out this blog where we’ve pulled a few examples from Reader’s Digest’s post on ‘15 Spring Cleaning Mistakes That Could Make You Sick’. Dr. Anne Steinemann, a professor of civil engineering at the University of Melbourne in Australia, found in studies that “over one-third of Americans report adverse health effects from fragranced consumer products…” These products can be anything from air fresheners and deodorizers, to hand sanitizers and scented candles. Unnaturally scented products are often the biggest toxin culprit. Instead of looking for products labeled ”unscented” that simply mask chemical smells, experts recommend using those labeled “fragrance-free” or natural cleaners like lemons. Cleaners that have a very high or low pH are known as caustic, and they’re good for use on those tough to clean stains. According to the U.S. Consumer Product Safety Commission (USCPSC) though, they ‘can lead to caustic burns to the skin, eyes, or internally if swallowed.” The cleaners are so harmful they don’t even have to be ingested, just cleaning with them can lead to skin irritation. Don’t use any more powerful of a cleaner than needed for the job. Our focus for this post was on just a few cleaning mistakes that could result in exposing yourself or your family to household or manufacturer produced toxic chemicals, but you should really take a look at Reader’s Digest’s entire list by clicking the link below. Happy cleaning!